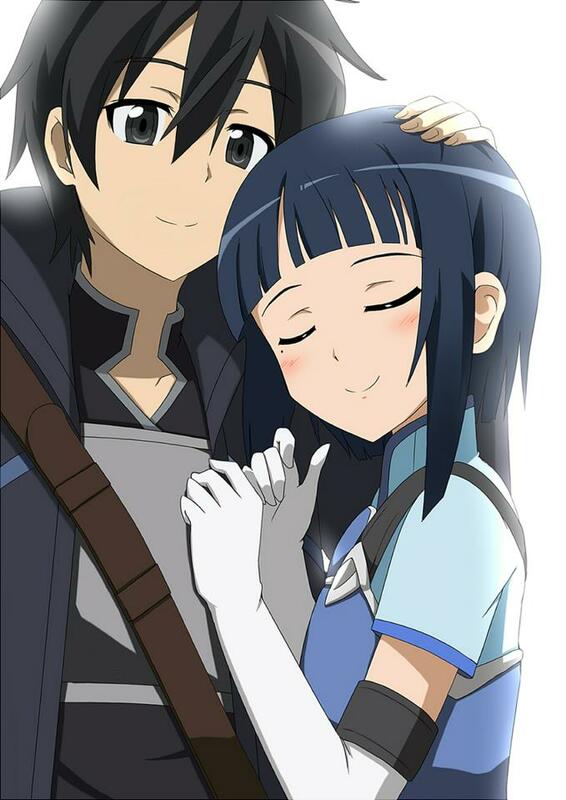 Kirito x Sachi. . HD Wallpaper and background images in the sword art online club tagged: sword art online kirito sachi fanart. This sword art online fan art might contain animado, cómic, manga, historieta, anime, and dibujos animados. Happy Asuna o is it laughing Asuna?